Remodeling your kitchen is probably one of the best ways to increase the value of your home and make this gathering place more functional, efficient and beautiful. Although kitchen remodeling can carry a substantial price tag, it is important to view your project as an investment rather than just money down the drain. Turning the unused space of an unfinished basement into enjoyable family living space takes a special knack and total understanding of construction principles. Working below the ground to complete a renovation project requires expertise in a number of areas, all of which ABC DESIGN & BUILD excels in. Adding more space with a new room or sun room makes your home more comfortable, functional, and valuable. 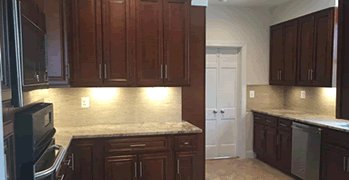 ABC Design & Build is a room addition contractor serving the needs of homeowners in Alexandria, VA, Fairfax, VA and communities throughout Northern Virginia and Washington DC. with complete basement remodel of 800 sf. or greater. Call for details. 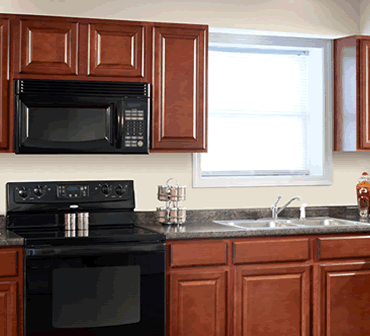 $1000 Off any complete kitchen or basement remodel. For More Specials Click Here. We had a very large unfinished basement that is now looks like something out of Better Homes and Garden! Abe and his team were simply amazing. I cannot say enough good things about my experience with ABC Design and Build.